Hi all! I’m Jennifer and I write for†Arcadian Lighting, an e-commerce site that chronicles the work of top interior designers and home decor trends around the world.†I’ve been writing about home decor since graduating university and have loved it ever since. I’m addicted to patterned fabrics, Jonathan Adler, chaise lounges, old doors, milk glass jars, antiques, and chandeliers. 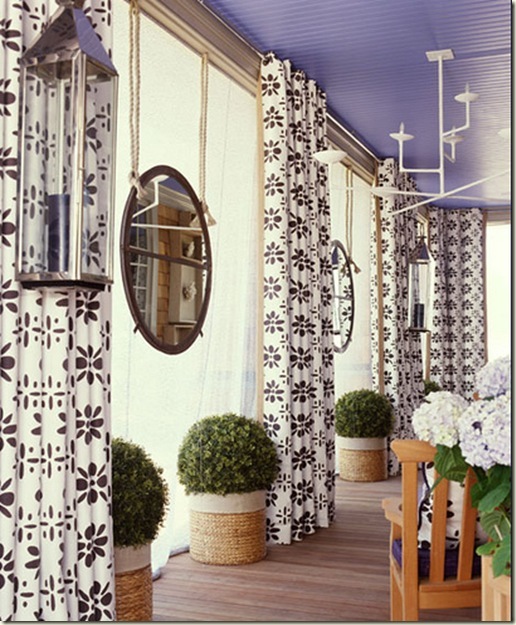 Michelle Workman is one of my absolute favorite interior designers, so you can imagine my sheer delight when I was told I’d be writing a post for her amazing website – and about something I love, no less: painted ceilings! An interior sunroom with layered window treatments (sheers and heavier curtains), manicured potted plants and a pale purple ceiling all culminate to create a calming oasis. 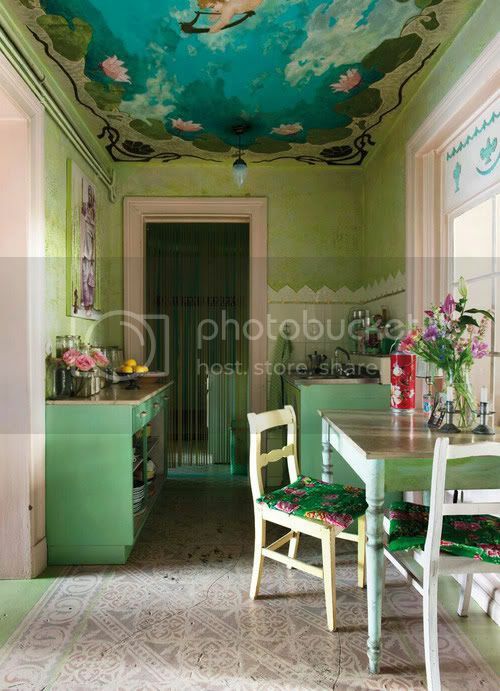 Michelangelo may have adorned the ceiling of the Sistine Chapel, and this dreamy cherub mural on the ceiling of this cozy kitchen adds major visual impact to such a small space. The matching pendant light is a nice added touch — couldn’t even tell there was a light fixture up there! A painted ceiling helps create dimension in this whitewashed bathroom – the sky blue section above is a great home decor detail in that it “lowers” the height of the space. The mismatched ceiling lights definitely adds character to this lovely bathroom. Stunning rooms with painted ceilings don’t always have to have one solid colour – stripes are a stylish way to elongate a space, like this kid’s room. A painted ceiling that “bleeds” onto the walls helps to change the overall depth of this bedroom. The comforter and furniture, such as the bench at the end of the bed, are also in a similar grey hue. The wooden-like light fixture in the middle of the room definitely balances the room. A purple ceiling looks more subdued when paired with other elements in the space, like the wall art and the table decorations – the purple print and flowers help bring the look together. 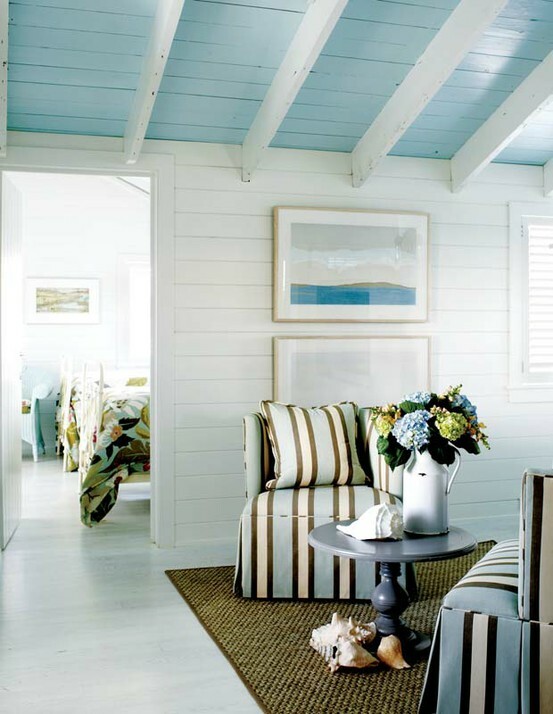 A painted wood slat ceiling looks less obtrusive when criss-crossed with corresponding white beams. We also love how the fabrics are carried through from room to room. A home office or craft space can be more whimsical and playful than other more formal rooms in a house, so why not paint the ceiling in something unconventional, like a 50s diner turquoise? I am just now experiencing with a ceiling project (stripes). This post gave me amazing confidence. What lovely ceiling accents. glad you liked the post! Doing an interesting ceiling will always give a nice surprise when someone sees it for the first time! love the collection here!! 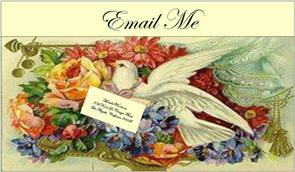 I am a big fan of color myself.. working on a blog as well..